Like you are like most people, you probably use your car every day to get to work or do some shopping. This means that you are probably spending quite a bit of time in your car. Wouldn’t it be nice if your car was a little bit cozier? And we’re not talking about new seats or seat covers. We’re talking about something that is a lot easier – and cheaper – to change: the smell. As with all confined spaces, your car can start to smell a bit awkward after some time due to the dust, mold in the AC system, and the occasional waste you forget about. The simple and effective fix is a long lasting air freshener. To get the most bang for your buck, make sure you pick the strongest and best smelling freshener possible. Quantity. The larger the air freshener, the better. Larger containers will keep your car smelling nice for a prolonged period of time. Refill or single use? Being able to refill the freshener is great because refills are cheaper than buying the entire system every time you run out of freshener. However, there are also single use items that are relatively cheap. Smell. It goes without saying that you must enjoy the smell. You can pick from a wide variety of smells: coconut, fresh, new car, no smoking, cinnamon, lavender, etc. Pick one you like and stick to it. 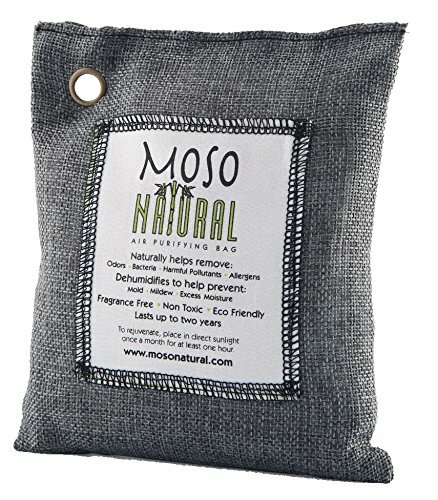 The Moso Bag has two benefits: it keeps the interior of your car dry and it absorbs all the nasty smells to keep the air fresh and clean. This product does not contain any fragrances and is completely chemical free. Bamboo charcoal is natural and non-toxic – and is also very good at absorbing odors and pollutants. Without excess moisture, mold and harming bacteria cannot thrive inside your car. To reuse the Moso Bag, all you have to do is leave it in direct sunlight for an hour or so to dry. Using one for up to two years is not uncommon. Are easily attached to the vents of your car and release a great smelling odor whenever you turn on the ventilation or AC system. 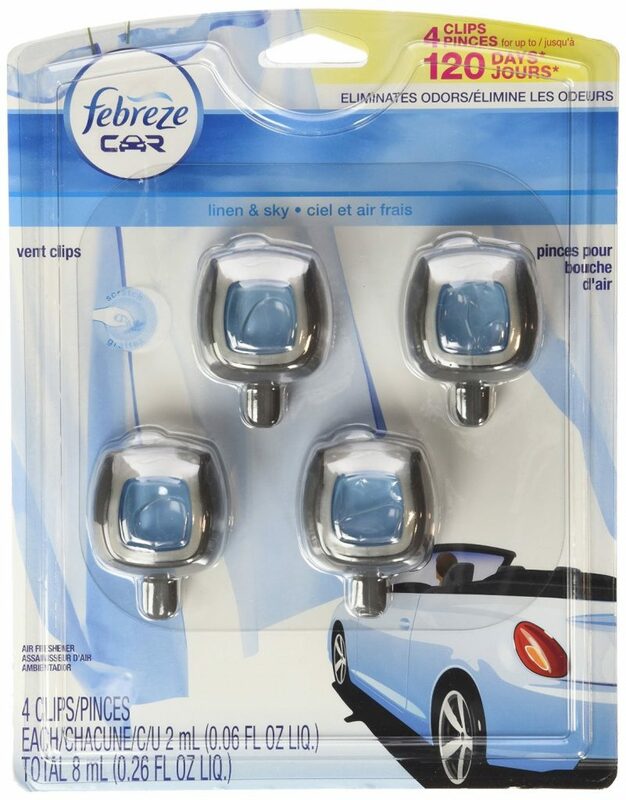 The Linen & Sky odor is fresh and will surely impress all of your passengers. People will immediately ask you where the smell comes from. The recipient is 0.26FL OZ and the liquid can last you anywhere between 2 weeks and 1 month. It is not refillable, but you can get packs of 4 – these should last you quite a long time. This automotive air freshener has a distinct fragrance that is both elegant and mysterious. It combines notes of lemon, sandalwood and bergamot. You can use it in your car, as well as on the road. All you have to do is attach it to the rearview mirror and it will start spreading its odor immediately after you get it out of its package. 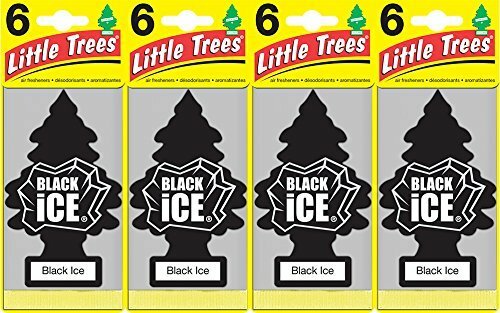 The Little Trees Black Freshener is proudly made in the United States of America and undergoes strict quality control checks before being shipped to you.